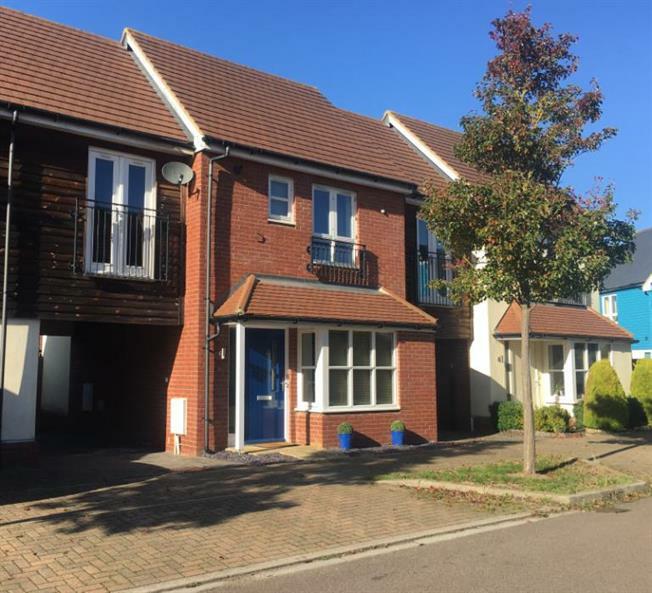 2 Bedroom Terraced House For Sale in Milton Keynes for Offers in the region of £265,000. Offered for sale with NO UPPER CHAIN is this beautifully presented , two bedroom home with an open aspect to the front, situated in the highly sought after location of Middleton, which is set within easy reach of Central Milton Keynes, train station, plus desirable local primary and secondary schools. This superb property is in truly great order throughout having been lovingly maintained by the current owners. The accommodation is arranged over two floors and comprises entrance hallway, downstairs WC, modern fitted kitchen/breakfast room with integrated fridge freezer and dishwasher , large window to the front. The living/dining room is set at the rear of this home and has French doors leading to the rear garden. Upstairs you will be impressed by two fantastic double bedrooms, the master has fitted wardrobes and an en-suite shower room. The second bedroom has a Juliet balcony and cupboard. The family bathroom is finished to a great standard and has shower over the bath. Outside the garden is mainly laid to lawn, along with a side gate leading into the car port. The car port provides parking for two vehicles. Viewing is highly advised to appreciate the location and this exceptional home!